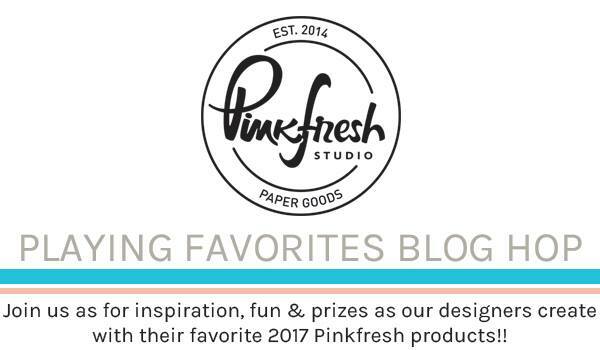 Hello everyone and welcome to the Pinkfresh Studio Playing Favorites Blog Hop! This time we are focusing on our favorite collection from Pinkfresh Studio.To be honest, I couldn't choose which collection to use, ( because I love them all! ), so I decided to add some bits and pieces from all three collections I used in this term. My design idea was to create a long vertical embellishment cluster with a horizontal title and place my photo to the meeting point of them. To do this I trimmed the Starry Night patterned paper and adhered to a blue cardstock. When finished, I selected the embellishment pieces that I couldn't wait to incorporate from the Boys Fort, the Escape the Ordinary and the December Days collection. I started from the top of the page, and adhered some cardstock stickers, wood buttons, ephemera tags and die cut fabric pieces using foam tape. For adding the title I mixed and matched Boys Fort letter stickers with December Daily cardstock stickers and Escape the Ordinary wood alphabet stickers! I just LOVE the shiny and playful look! Comments will close at 11.59pm CST on Friday, January 5th, 2018. 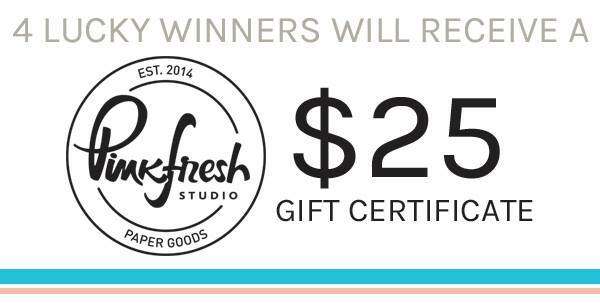 The winners will be announced on Pinkfresh Studio's blog. gorgeous..love the mix of elements! Love your mix of collections! So many fun details! Love, love, love this layout! I really like that you added pieces from all three collections! wow! This is a gorgeous layout and I love the design you used in creating it. It's fun and beautiful! What a great design! Love all the elements you used in that vertical strip of embellishments! Absolutely fun and fabulous, thanks for sharing and inspiring! Fun and colorful. I like the snow and stars theme. This layout is a fave! Love all the details and the clusters! Very cute - love the white background with all the stars. This is gorgeous! I love the pops of red! That’s such an incredible layout ! Love all the beautiful elements from various collections that you've layered on this page. Thanks for sharing. I love the idea, you do nice work. The horizontal layout with all the embellishing, it's fabulous!! So pretty! Love the cluster of embellishments!